Belmont’s Conservation Covenant was on display Monday, July 20 when NACUBO (the National Association of College and University Business Officers) came to Nashville for their annual conference and brought representatives from more than 30 member institutions to Belmont for a sustainability tour. Gathering in the newly certified Platinum LEED Wedgewood Academic Center, attendees were greeted by University President Dr. Bob Fisher and enjoyed a video displaying an overview of Belmont’s sustainable initiatives. 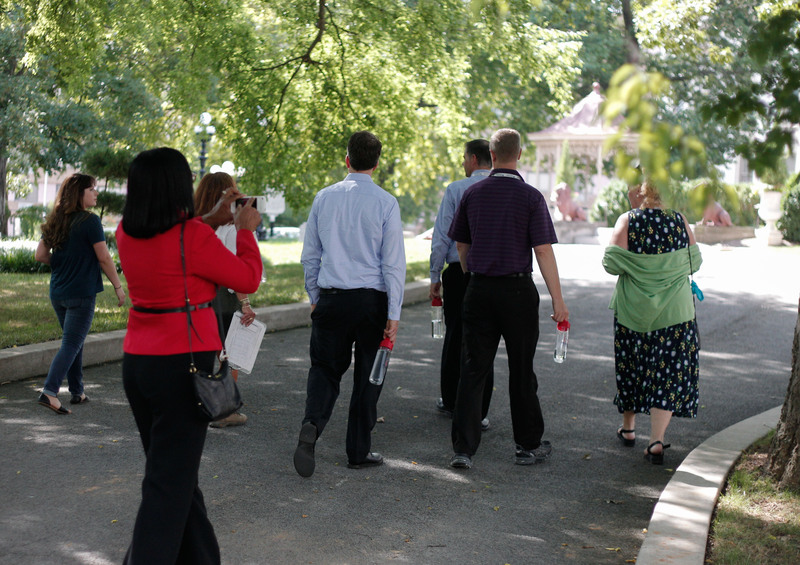 After splitting into five groups, guests toured a number of university facilities including The Randall and Sadie Baskin Center, McWhorter Hall, the soon-to-open Dining and Academic Center and a walking tour highlighting the trees and species that contribute to Belmont’s arboretum status. For more information on Belmont’s Conservation Covenant, click here.